Ultimate Mortal Kombat 3 (AKA UMK3) is a 2D 1vs1 fighting video game developed and published by Midway for the Super Nintendo Entertainment System (SNES) in 1996. It is the sequel to Mortal Kombat 3 that was released on early 1995. As one of the famous fighting game franchises in the 90’s, like Super Street Fighter 2, how does it stack up? The game’s developer, Midway, made the roster of fighters the selling point of the game. But, due to the SNES’ specs, it brought the overall quality down of the graphics, fighting moves, and animation of the characters. When it comes to the gameplay, it has the playing modes one would expect from a Mortal Kombat game of that time. 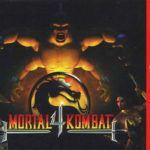 Ultimate Mortal Kombat 3 has the ordinary versus mode, the continuous single player fighting mode, the standard tournament mode, and the 2-on-2 tournament mode. In terms of controls, Ultimate Mortal Kombat 3 has the same as its predecessor Mortal Kombat 3. The poor responsiveness from the previous installment had also carried over to this one. For a game from the mid-90’s, it has good graphics. Character design is well done although there are similarities between some characters. The background of the different levels look great but the normal Mortal Kombat background interactions have been removed. Again, the drawbacks are expected due to the limitations of the 16-bit SNES. The soundtrack is the same for almost all the different stages of the game. The music quality is bad which is expected of SNES’ music quality. Voice effects of some characters are missing compared to previous versions of the game. Ultimate Mortal Kombat 3 for the SNES is just a poor game. It might have worked if it was released on the Sony PlayStation. But, with the SNES and the number of playable characters, the overall quality of the game suffered and there’s just no significant improvement from its predecessor. There are better fighting games over there… Click here to view and play them all online! Ultimate Mortal Kombat 3 game has been ported to SNES (this version), Arcade, Genesis, Sega Saturn, Game Boy Advance, Nintendo DS, iOS, PlayStation 2, and Windows.